I was very skeptical as to the necessity for estate planning. However, Attorney Kobrick’s professionalism, thoroughness and understanding of our various family needs made a convert of me. I have only the deepest gratitude to him for the peace of mind he has brought to my wife and me. I was very impressed and pleased that this uncomfortable matter was finalized with such little ‘pain’. My daughter was the most relieved to know that all of my personal desires and effects were now truly organized and settled. Thank you for arranging my estate. We have received very competent and well-informed answers to all the questions that we raised and even to issues that we had not thought about. Anthony Moccia were exceptional in their handling of our Estate Planning. They were most helpful, and always were professional in their demeanor. 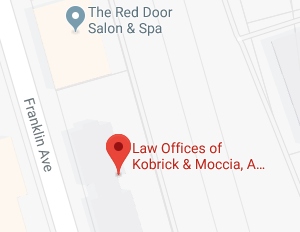 We had a very positive experience at the Law Office of Kobrick & Moccia in Garden City. Everyone there was friendly, helpful and professional. They took the time to explain in detail all the paperwork involved. All our questions were answered. We spoke to Anthony, Nathan, Nicole, Nikki and Katie while there. They represent the firm in a very exceptional way. “Excellent Client Service !! – Very Personable Staff”!! I was exceptionally pleased. Everyone was a pleasure to deal with. I am recommending friends. We found everyone in the office to be tremendously helpful and organized. We have gained so much information and, most importantly, peace of mind. Thank you for your invaluable assistance. We are extremely satisfied with the service provided by Kobrick & Moccia. Everyone we met with was very knowledgeable about estate planning and answered all of our questions clearly and concisely. Our documents were placed in a well organized binder. We would highly recommend this company to anyone seeking help with wills, trusts and any other estate planning. All our questions were answered patiently and thoroughly. Sheila was excellent. All documents and terminology were explained to our satisfaction. The fact that we can call with questions after we get home is important. Very professional. Attorneys took lots of time to answer all our questions and address all our concerns. The process was illuminating, and we are very satisfied and relieved. We appreciate the courtesy and expertise of the staff. Great experience, very accomodating and worked with us on our tight schedule. Explained and answered all our questions and concerns. Never felt rushed! Office staff pleasant and mindful of our scheduling needs. Made us feel at ease with this difficult process. Highly organized and professional services. Highly recommended!